2pm - 9pm (Family Friendly time 2 - 7pm) Kids under 12 free! Inspired by the traditional Bavarian festival and great beer, Oktoberfest in historic Williamstown sees the amazing and newly renovated Seaworks transformed into the biggest undercover beer hall on the water. Our outside area looks straight across the bay to the city. Experience authentic German and international food stalls, roving performers, a marvellous mix of entertainment, rides and market stalls throughout the afternoon and evening. Unlike many Oktoberfest events in Melbourne Oktoberfest in the West will closely replicate the famous Munich Beer Halls with tables, staging and of course space for dancing, games and fun! Tickets to Oktoberfest in the West also includes your very own souvenir Oktoberfest in West Beer Stein. Get your tickets quickly by taking advantage of the specials as this event is sure to sell out! Part of the fun of Oktoberfest is dressing up Bavarian Style! We have a partnership with Court Jester Fancy Dress in Laverton. For guys the 'Lederhosen' is the typical dress. Made up of the felt hat, checked shirt, braces, shorts and long socks...and of course your drinking boots!! For the girls it's the 'Dirndl'. The dress One basic silhouette, varying lengths and materials, infinite designs and colours. Is really good at hiding all evidence of excess beer consumption! Shoes Flat, black, comfortable, don’t mind getting beer spilled on them. INXS’s KICK album proved to be such a hit in the Chocolate Starfish Classic Albums Series that the band will be KICKing on in 2019 with another tour. After a spectacularly successful string of sold-out shows and packed houses, the ‘Fish will give fans one last KICK before cracking the next Classic Album. The band performs ‘KICK’ from start to finish – just like an album is meant to be experienced – honouring its revered tracks in true Chocolate Starfish style. As always, the band gives audiences what they know and love about a Chocolate Starfish show – pure, unadulterated entertainment, with performances imbued with intensity and revelry…and, as always, a few surprises. Why KICK? “It seemed a natural choice,” frontman Adam Thompson muses. “We wanted to showcase an Australian album that had – and still has – a massive impact, and ‘KICK’ ticks all those boxes. 'German Oompah Band' to be announced! Joining our line up again is the fabulous Party Band 'Retrenched' busting out some well known songs along with a few German numbers especially for the day! Oktoberfest is about having fun with your friends and letting your hair down! Expect lots of interaction on the day and some good old fashion Oktoberfest games like The Pretzel Pass, Barrel roll and of course the Schuhplattler competition. Plus much more! Weather permitting we will open the large outside area of Seaworks which will host some of your favourite rides and stalls! 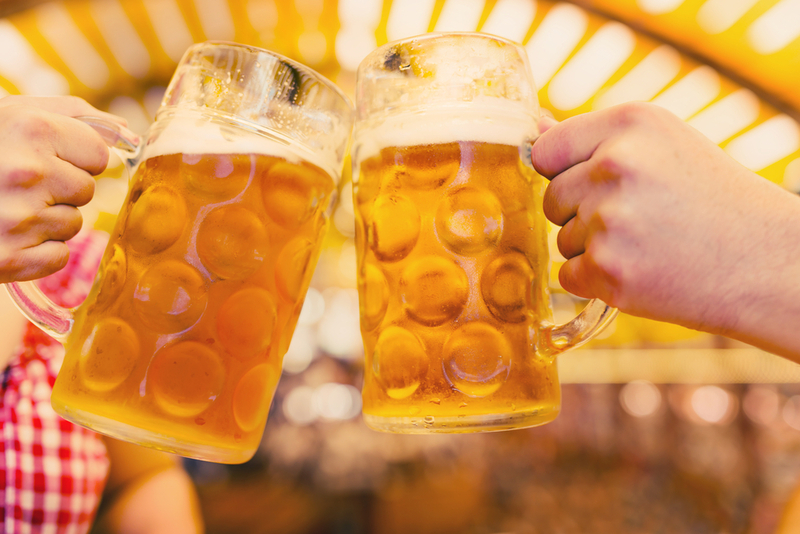 With every entry into Oktoberfest in the West you will given your souvenir stein and this will give you access to a great array of traditional German beers on tap along with some local favourites who have brewed some Bavarian styles beers just for the event! We are committed to making Oktoberfest as an authentic experience as possible so our Beer Menu will include these popular imported beers but we have some many great local breweries that is would be a crime not to involve one of our favourites! See below. One of Germany’s most successful breweries, Spaten is deeply rooted in Munich’s venerable beer-brewing tradition, yet it remains modern and dynamic. Famous for it’s stunning wheat beers, the brewery opened in 1363 and is at the forefront of Bavaria’s high pedigree of wheat beer breweries. The Dunkel is a dark fruity beer. The name Paulaner stands for a Munich brewing tradition crafted over centuries, infact since 1634, and acclaimed far beyond the borders of Bavaria throughout the entire world. The Löwenbräu is one of the most popular, ubiquitously available beer brands in Munich, Germany. The company has been bred in German traditions and skilled brewing practices since the 15th century. The brew crew have weaved their magic to develop a true German authentic beer just for our event! It's a cool fermented German ale with pilsner malt and hops. The beer will be light, fruity and have fresh wine like notes. It will be a real crowd pleaser and it will also be unfiltered, so a lovely cloudy haze. Two Birds was founded in June 2011 by Jayne Lewis and Danielle Allen the driving force behind Australia’s first female owned brewing company. Located in Spotswood. When you need a break from beer our Schnapps Bar will be a great option. 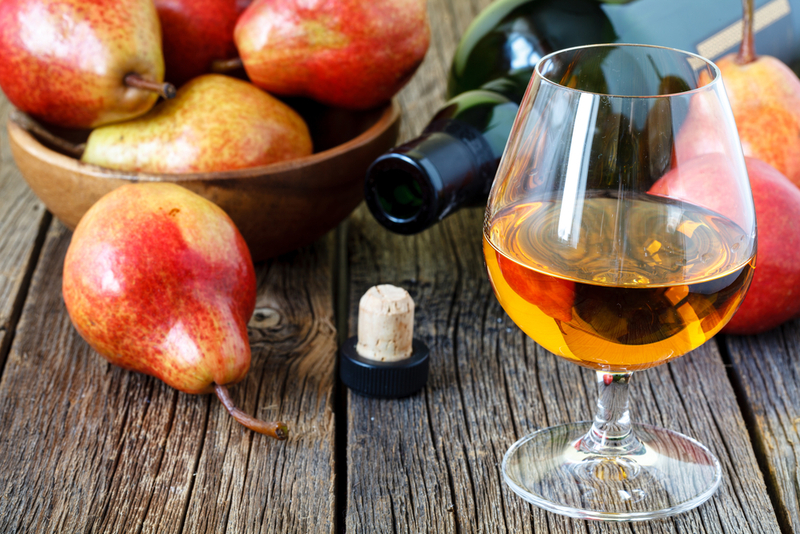 Try some delicious traditional fruit flavoured Schnapps. We're going to tempt you with the most amazing array or traditional and 'beer matched' international foods! Here's a couple confirmed with many more coming! Firstly, a Bretzil goes hand in hand with a Stein and we're very pleased to host Bretzil.biz selling the most wonderful Bretzils and other treats! Make sure you also check out their cafe in South Kingsville. Bavarian Bangers, have the best German Sausages in town and will be at Oktoberfest in the West filling the Hall with the amazing smell of gourmet sausages and crispy chips. Little Santorini a local favourite operated by Santorini Restaurant will be doing some special edition Bavarian style Pork off the Spit in addition to their popular Lamb Souvas. PLUS they'll be doing a few Vegetarian options! Schnitzel is crowd favourite and Sizzlin Schnitzel is the bomb serving every way you like on it's own or in a burger! Hot local favourite Just Sausage Rolls will be at Oktoberfest in the West. OMG You have to try their rolls...amazing!! PLUS Vegetarian and Vegan options!! For those who like things a bit sweeter Billy van Creamy will be coming to Oktoberfest in the West. They're only one of the best in Melbourne all made in house at their Fitzroy North store. CAN I LEAVE OKTOBERFEST IN THE WEST AND COME BACK IN? Due to liquor licensing restrictions we can't provide pass outs so make sure you bring in everything you need for the day or night. Click here for all ticketing details and to purchase online. CAN I BUY TICKETS ON THE DOOR AT THE EVENT? Based on history, Oktoberfest in the West will sell out so we suggest purchasing tickets as soon as possible. Tickets will only be available at the door if we have any left! CAN I BUY DRINKS OTHER THAN BEER? Yes we will have a range of other drinks available, keep an eye out for updates on this! No, your ticket allows entry to the seated venue and all your entertainment. ARE THERE GLUTEN FREE, VEGETARIAN OR VEGAN FOOD OPTIONS AVAILABLE? CAN I BRING MY OWN FOOD OR DRINKS WITH ME? No, guests can only bring their own food if it is for an infant. WILL THERE BE ATM’S OR EFTPOS AT THE EVENT? CAN I BOOK A TABLE AT THE EVENT? No tables are on a first come first serve basis, however there will be VIP options. I BOUGHT MY TICKETS ONLINE, HOW DO I GET A HARD COPY OF MY TICKETS? Tickets will be sent to your nominated email address via a pdf file attached to your email. If printing make sure the barcode and dates of birth are visible. Log in to the Eventbrite account used for the purchase and select ‘Show My Ticket’ for the relevant event. Make sure you save your email that has the PDF ticket attached so you can re-print your ticket! If you delete your email log into your Eventbrite account and head to “My Account” where you can reissue your ticket. Tickets to non-refundable however in the unlikely event that the event is cancelled a refund will be processed. Yes, if you purchased your ticket via Eventbrite you need to change the ticket into your friend’s name which can be done by logging into your account. CAN I SELL MY TICKETS ON E-BAY OR GUMTREE? No. Our tickets must not be re-sold as a commercial transaction. Atmospherix Pty Ltd reserve the right to void any tickets without compensation if the original purchaser has sold them. The new ticket holder may be refused entry or be evicted from the venue. SHOULD I BUY A TICKET FROM E-BAY OR GUMTREE? We don’t recommend this as per above. WHAT IF I LOSE A PERSONAL ITEM AT OKTOBERFEST? We will have a lost property area and you are welcome to speak to any of the organisers on the day and we will help as much as possible. DOES OKTOBERFEST IN THE WEST OFFER THE COMPANION CARD PROGRAM? No sorry due to space we do not think it is safe for pets. Oktoberfest in the West (the “Event”) is presented by AtmospheriX Pty Ltd (the “Promoter”). These conditions apply to all tickets issued by the Promoter, the authorised ticket reseller Eventbrite, and any other reseller of authorised tickets to the Event, including complimentary tickets and door list attendees. Authorised tickets will gain the holder access to the venue at which the event is held (the “Venue”), and by doing so the ticketholder agrees to these conditions, conditions imposed by the Venue and conditions imposed by the ticketing provider, Eventbrite. All conditions are to be read in conjunction with other statements and directives made by the Promoter. Persons under the age of 18 must be strictly supervised by a parent or guardian at all times. Attendance of unaccompanied juveniles is strictly prohibited. At the Event entry you will be asked to present a legal and approved form of photo identification, after which you will be provided with a tamper-proof 18+ wristband if you are over the age of 18. The only acceptable forms of identification are a current Australian driver’s license (international driver’s licenses won’t be accepted), state approved ‘Proof of Age’ card or a valid Passport. Oktoberfest in the West holds patron safety in the highest regard, and has a strict no tolerance approach to drugs and other illicit substances at or near the Event or Venue. We cannot express highly enough how dangerous drug use is, so please don’t take the risk at this Event, or ever. Police and trained sniffer dogs may be present at the events, and any patron found in position of illicit substances will be reported to the police. A condition of entry to the Event is that all bags will be searched at security checkpoints prior to entry. If deemed appropriate we reserve the right to conduct a physical search of persons, their clothing and/or other possessions. Prohibited items as outlined below may be confiscated at the Event entry. Food and beverages of any kind, excluding those required for medical reasons or for Babies. If you or your guests are unable to attend, the ability to re-issue (change the name on your ticket) is available through ticketing partner, Eventbrite. Please visit the Eventbrite website for more information. The Promoter reserves the right to refuse entry to anyone or cancel a ticket purchased. If the ticket is cancelled by the Promoter a refund will be given. The name ‘Oktoberfest in the West’, associated logo, artwork and other marketing material is the sole property of the Promoter and cannot be used by an external party without prior written consent from the Promoter. We want to make sure you have a great time so here's some information we think you'll need to know. Please pass this on to the other people you might have bought tickets for! If we’re lucky it will be a lovely 23oC sunny day like last year. Please bring sunscreen, warmer clothes for the evening e.g. jacket, a hat (we will be selling some great German style hats so don't worry if you forget).